located in the historical district of pioneer square, the piranha shop is one of seattle’s premiere mix-use event spaces, venues, and creative studios. combining modern elements with marked visual history, the interior pays homage to its origins as a paint supply warehouse, artist studio, and art gallery. built in 1908, the piranha shop fuses modern and historical palettes to house an atmosphere that fosters contemporary culture, supports the arts, cultivates movements, and preserves tradition. 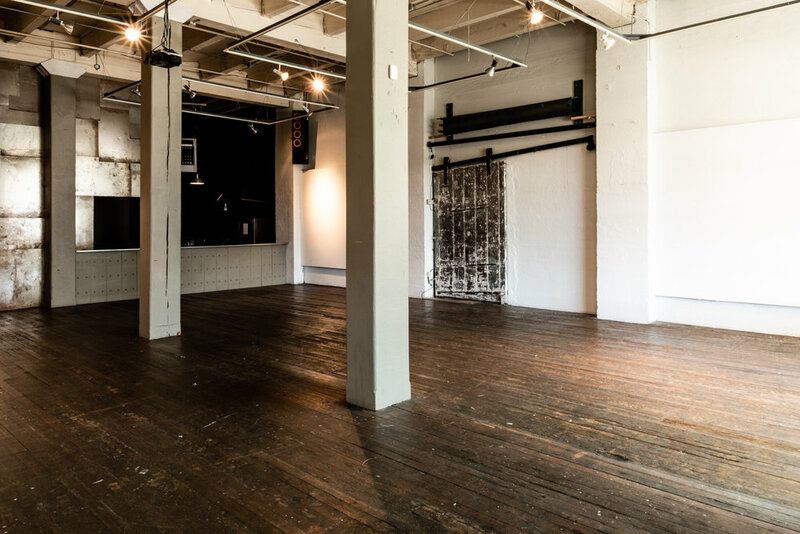 the loft-style studio features 1,800 square feet of versatile space that includes unfailing natural light, exposed block walls, 21 foot-high ceilings, and rolling partitions, making it ideal for photography shoots, weddings, private events, art shows, corporate off-site meetings, and much more.